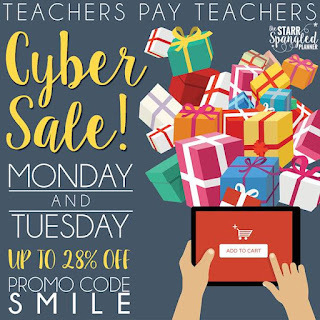 Teachers Pay Teachers site wide sale is almost here! On Monday, November 30th through Tuesday, December 1st you'll have an opportunity to save save SAVE! You get 10% off of EVERYTHING by using the promo code SMILE when you check out. 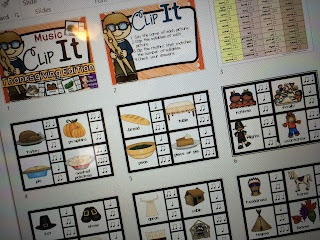 Most of my store will be on sale and you'll save 28% total on tons of great resources for your classroom. Go wishlist some things now so you'll be ready! I love musicals! I've been wanting to take the things that I use with musicals in my class and turn them into something prettier I can share with you all. Finally this massive project is underway. This MEGA PACK is actually a growing bundle. 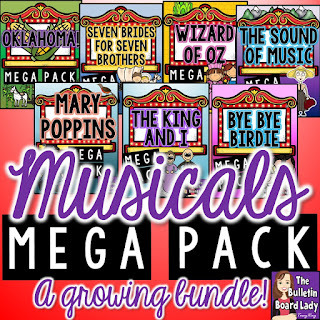 It will contain no less than 10 musicals (each set is about 28-40 pages) and already has a couple of bonus products that you might like. At first this was going to be finished in December, but now I think that it will be an endless bundle and that I will continue to add to it as I add more musical packs to my store. Each time I add one, the price goes up so it is best to grab it now to save. Right now there are seven musicals included. Don't miss out! In December, I often have 2 grade levels preparing for a performance in addition to my after school choir. It is such a busy time! 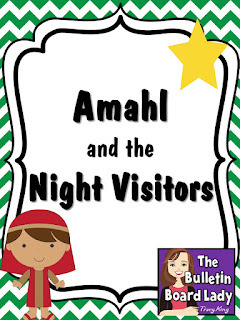 I often plan for some classes to watch Amahl and the Night Visitors. I love this operetta and find it is a GREAT way to introduce students to opera. We watch the video with the viewing guide that is included and then do several of the writing activities. This works great with a sub too and I usually have a few days that I'm traveling with performing groups in December and need one. 3. Christmas Music Listening Glyphs If you loved my John Williams Listening Glyphs, Armed Services (and other patriotic music) Listening Glyphs or Nutcracker Listening Glyphs, you'll love this seasonal set that features 10 different classic Christmas songs. Okay...and one from Pentatonix and The Brian Setzer Orchestera because my students LOVE those! There are 10 different glyphs in 4 versions so that you can choose what will work best with your students. Learn more HERE. 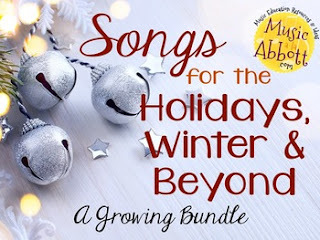 Amy Abbott's Songs for the Holidays, Winter and Beyond. Holy moly! This is such a great bundle and I can't believe how much is included!!! She includes so much with her resources and I'm excited to crack it open and take a look. 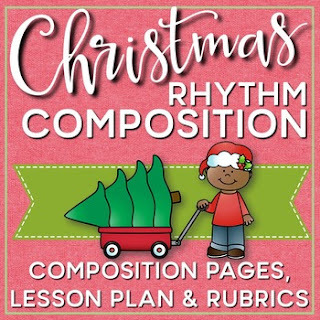 Lindsay Jervis' Christmas Rhythm Composition set. This is hot off the presses and contains worksheets, rubrics and a lesson plans. Uhm...awesome! I think this will work really great in centers and with the lesson plan included I could leave it for a sub too. 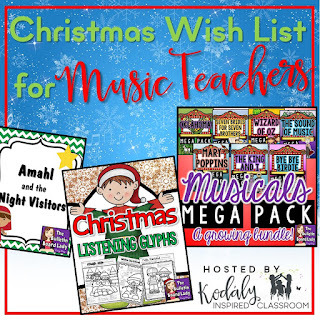 I'm linking up with Lindsay from the Kodaly Inspired Classroom to share wishlists. Click HERE to see more! I am such a fan of exit tickets. I struggled for a long time coming up with assessment ideas that were quick and easy for the tiny amount of time I got to spend with students each week. I didn't want to take half of my class time or more to "test" them and listening to them sing or play an instrument during workstation time didn't always work into my plans. I started with just scraps of paper and a question on the board. When I made a "pretty" set of exit tickets to use I noticed what an improvement I got from students. Their responses were longer and better. YES! This product is one of my best sellers and has been wishlisted more than any other item in my store. In the bundle you get exit tickets that cover notes and rests, instruments, treble clef pitch names, bass clef pitch names, Peter and the Wolf and dynamics, symbols and musical opposites as well as a set of general exit tickets that can be used for any subject and in any classroom. Take a look HERE. If you are a regular reader of my blog you know that I incorporate workstations a great deal in my classroom with students in grades K-6. I do them about one out of every four class periods (unless we are preparing for a concert). This MEGA BUNDLE contains 16 different workstations (for varying age levels), tips for using workstations and some student self-assessment sheets. 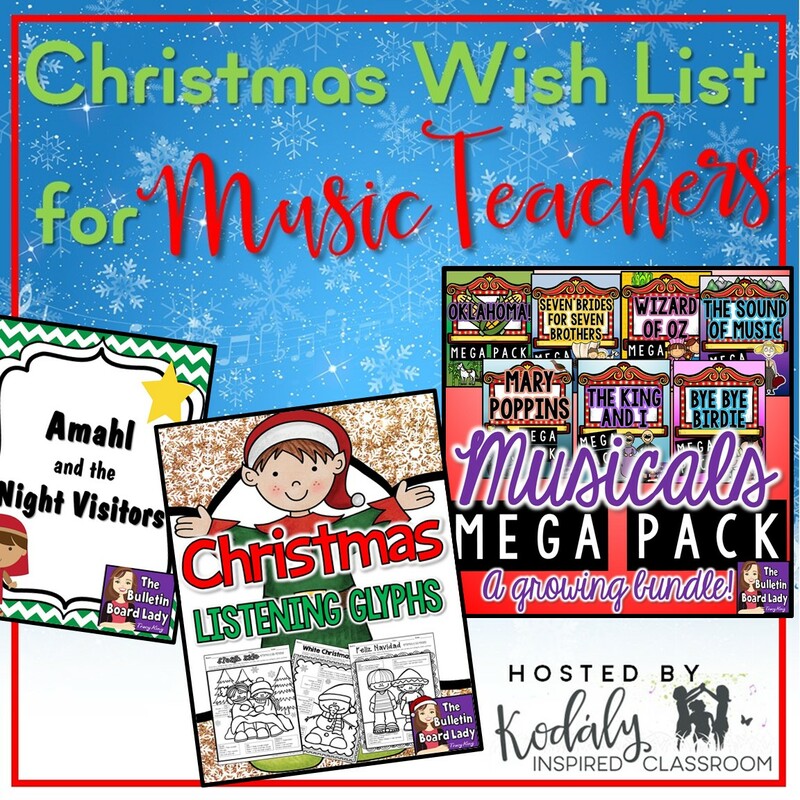 I have used every single workstation included in this bundle and my kiddos LOVE them! WRITE ON! Of course we write in music class! This best selling set includes 30 different writing prompts with a music theme. I have used these prompts with 4th through 8th grades with great success. Many buyers love that these make quick and easy plans to leave for a sub too! Grab it HERE. Monday and Tuesday you can grab these items at a bigger discount by using the code SMILE when you check out. Take a look at my store and wishlist some of your favorites now so that shopping is quick and easy on Monday! I am linking up with some other great sellers! Take some time to check out all of the top wishlisted items from lots of other TpT sellers HERE. I've never been one of THOSE teachers. You know, the ones that get the whole week of Thanksgiving off. I'm always there until Wednesday at 1:15. A couple of years we got Wednesday off completely and one year Monday was a snow day, but...yeah...I'm always teaching until the last minute before Thanksgiving. Here are a few quick and painless ideas for getting through those three days or whatever time you'll be putting in. What is a pumpkin roll? 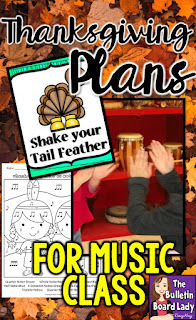 What does "shake your tail feather" really mean? Can you really tap dance in moccasins? Who knows! What fun it is to let their creativity express itself through dance! This set also includes a freeze dance version. I have several of these sets in my store. These work really well with the Thanksgiving theme: Food Fight Creative Movement Everyday Creative Movement and Partners and Groups Creative Movement. This is also a fun way to get kids moving. Disco turkey moves always make me smile! I also love some coloring options for kids during this short, but crazy week at school. 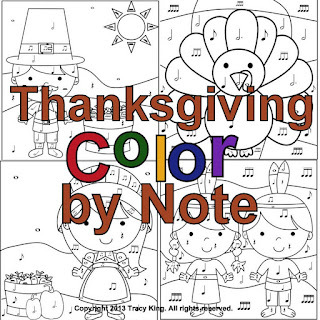 This Thanksgiving set includes pictures that require students to identify notes. Actually, there are two levels. One is for younger students and asks them to just find the note in the picture and color it. The other version (same pictures) gives the symbol name and the color and students must find the symbol in the picture. This is better for older students. I'll put on some music while students work and it is an easy and peaceful lesson. I'm also a BIG fan of workstations. In addition to the Candy Corn puzzles, Xylophone Composing Station and iPad Station, I'm adding Music Clip-It. Students look at a Thanksgiving themed picture and use a clothespin to clip the match. Students match the number of syllables in the picture to the rhythms. I don't know what makes this so fun, but kids LOVE using clothes pins! 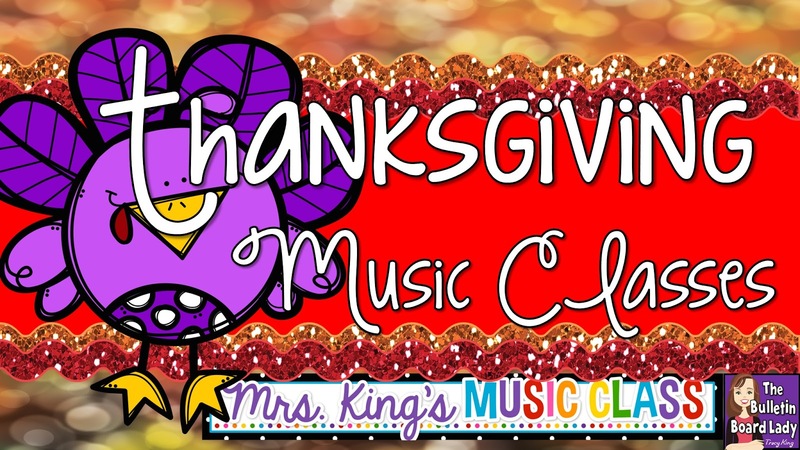 I hope this post gives you a few great ideas for being thankful and having fun in your classroom during the week before Thanksgiving. I am so thankful for YOU! In my last post we discussed rules and I shared my rules and a rhyme that help with classroom management. 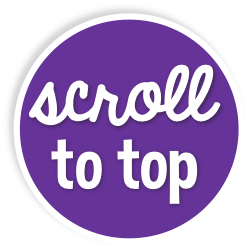 Be sure to read that post to catch up with our discussion. This week we are going to talk about the three elements that I think are the backbone of good classroom management: consistency, routine and organization. If you’ve been teaching for very long, you know that being “organized” looks different in each classroom. In my music classroom organized means there’s a place for everything, but that doesn’t always mean that everything is in that place. In my music classroom I have an organized plan for seating students, getting supplies, returning papers, etc. but that doesn’t look like what it does in a regular classroom setting. The week before concert time my room looks like a sparkly, rainbow unicorn just threw up all over every corner of the room. It does NOT look organized, but…well… it is! The apple and banana costumes are hanging on the back wall. The glittered letter posters are stacked on the piano. Coffee can drums and stacked neatly near the windows and extra copies of lyrics and lines are in folders clipped to the walls. Everything is organized for functionality, not necessarily for beauty. I can’t teach you the intricacies of organizing your supplies or your classroom. Everyone’s needs are different. My advice is to take some time to think about how things work in your classroom and arrange them accordingly. Have a plan for everything. Make lists. Be proactive. Just as it is important for everything to have a place, everything you want students to do in your classroom needs a protocol or routine. How do you want students to find a seat? Teach them how to do it. Practice it. (I recommend a seating chart for all classes, but that’s more for being consistent.) How will your kiddos get supplies? Teach them. Practice it. How will they line up? Teach them. Practice it. 1. Sing a good morning song. 4. Beat or Rhythm activity. This works well for me and students know what to expect. Experiment with ways to create a routine with your classes. This is often a time that I assess students ability to match pitch, keep a steady beat or read rhythmic notation. I just note it as I am taking attendance. Done! Routines like this won’t work every class period (Hello, fire drill.) but you may find that having one helps your students behave better and helps you focus more. This one is tough. I’ve been teaching for twenty years and every year I feel like I’m trying out something new. There are still ways to be consistent even when trying out a new strategy or philosophy in your classroom. What I have learned those is quite simple. Never, ever create a rule that you are not willing to enforce every time. EVERY TIME. Let me say that again and put it in another paragraph because it is that important. Don’t make a rule that you are not willing to enforce every single time it is broken. It is the key to being consistent in your classroom. It is also the key to not going stark raving mad in your classroom. It’s fine to let kids know that when you are teaching, lecturing or conducting that they should not be out of their seats to sharpen their pencils. It is a general expectation. For me, it falls under classroom rule 2, respect others. I know teachers that take 5 minutes off of recess each time a student does this. Seriously? Isn’t that exhausting? For music teachers with limited class time with students, how do you keep up with that and enforce it? Bleh. It’s okay to let students know that you expect them to be quiet when leaving the music room, but having a rule that says “If you talk in the hall, you get this specific punishment.” might be more work than you have considered. Are you willing to discipline every single time someone talks in the hall every single day the same way for every single student? Overwhelming. When considering classroom management and how to be consistent, you need to be realistic. 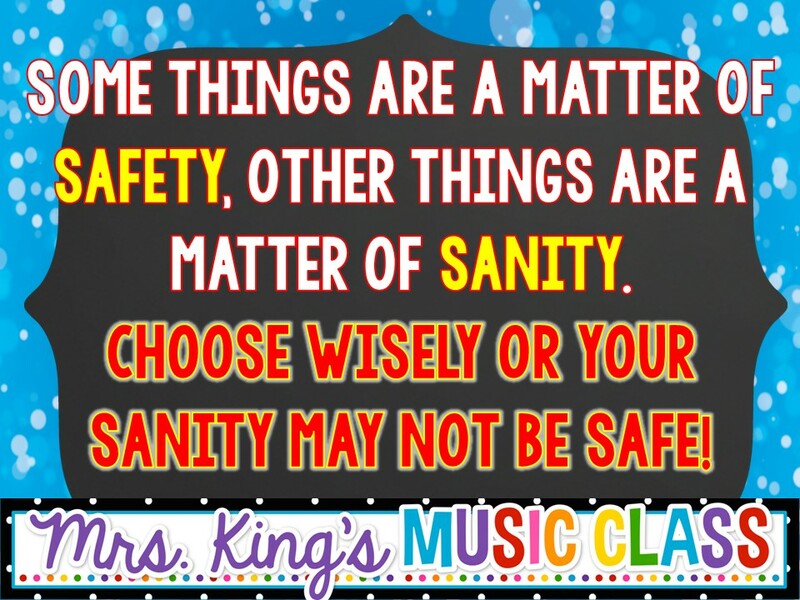 Some things are a matter of safety, other things are a matter of sanity. 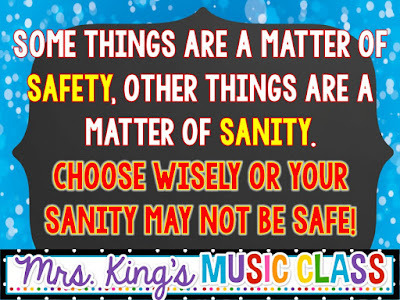 Choose wisely or your sanity may not be safe! Consistency is one of the reasons I have only three broad classroom rules. See them here. Create rules that focus on creating a safe, functional learning environment. So how does all of this play out in my classroom? Let’s go back to little Joey who finished up his echo singing and has now moved on to annoying his neighbor by putting his finger in her ear. Me (stopping what we are doing and staring quietly but intensely at Joey for a full ten seconds): Joey, you are not being respectful of Mariah’s personal space. Stop. I continue with my awesome, well-prepared, practically perfect lesson plan. Joey continues. Me (stopping, staring quietly and intensely again): Joey, please move back to the empty carpet square on the back row. I’m very disappointed that you are being disrespectful to your neighbors. 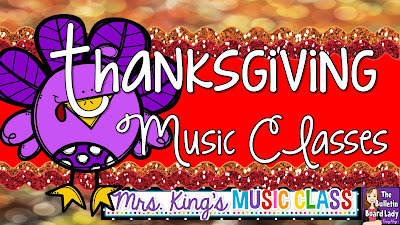 If you are not going to be respectful so the rest of can learn you may have to leave music class. I would hate that. Back to my awesome, well-prepared, practically perfect lesson plan. I’m being consistent by reminding Joey and the rest of the class of our rules and that we have them so that everyone has a chance to learn. I’m also using my very best, no-nonsense, I-mean-business voice. It can be very convincing! Me: It is time to get crayons, paper, clipboard and return to our carpet square. Please say “Crayons, paper, clipboard, carpet.” (Students repeat and are reminded of the procedure they have been taught for getting supplies.) Back row, you may go. Joey, can we talk at my desk while your row gets started? While I direct each row to get supplies and get back to the carpet square, Joey stands by my desk and we chat about what is going on. This part doesn’t always go well, but it does let me know if Joey needs to leave class, if he can be separated and still complete his work or if he can go back to his regular seat. The keys to good classroom management and good discipline are being consistent, having routines and being organized. Plan, prepare and put stuff in a place that makes sense. That’s organization. Teach them what you want them to do, how you want them to do it and then do it. Create a routine or a rhythm for how learning activities flow in your classroom. Make rules that you can follow through on. Do it every time. Every single time. That’s being consistent. You can do it! Do you ever wonder why good teachers quit? Why dynamic, energetic teachers decide they would rather work at McDonalds than mold our future leaders in the classroom? I must admit, I’ve thought about it more than once. When talking with teachers that were reaching their limit or considering walking away several issues were mentioned including too much testing and needless paper work, lack of administrative support and their inability to motivate and control their classes. Classroom management is something that experienced teachers think very little about. Fred Jones calls those teachers the "naturals". They are the ones that just intuitively do what needs to be done in the classroom. They always seem to get the "good kids" and they always seem to cram a couple of years worth of learning into one. When interviewed, these teachers may not even realize that they are doing all sorts of strategies that keep their students on task. Natural. They just get it. If you aren't familiar with the work of Fred Jones and are struggling with classroom management, I highly recommend his material. For the rest of us, we may need a little more direction. As a music specialist, I don't get several hours a day to work on procedure and routine. I get mere minutes a week. Classroom management is also quite different than it was twenty years ago. When I started teaching I was told that I needed to have classroom rules and consequences for each one. I was also told not to smile until Christmas and never, ever, raise my voice. Uhm…what? I teach music. That means that sometimes my room is loud. Good loud. Productive loud. Musically loud. Awesome loud. I have to raise my voice to get attention, because clapping ta ta titi ta can’t always be heard. Don’t smile? I teach MUSIC! Do you know how joyful that is? Do you know what an impact music can have in the lives of the students we teach? Don’t smile? Honey, I can’t stop smiling! I love what I do! So I started with three rules that I have used every year. If you walk into music class and knock over all of my chairs are you going to get in trouble? *wide eyes and lots of nodding here* If you come in and smack your neighbor in the back of the head are you going to get in trouble? *gasps and more nodding* Those are not smart decisions are they? We can respect ourselves by making good choices and not doing things we know are going to get us into trouble. Another way to respect yourself it so not put yourself down. Some people in here are already amazing singers. Some people in here can already play an instrument or dance like a rock star. Most of us aren’t like that yet. We are still learning. There are somethings that we will be great at and other things that we will need to practice before we are good. I don’t ever want to hear you say “I’m stupid!” or “I can’t get anything right!” Respect yourself by thinking positively and not putting yourself down. Remember that I said that some of us are already good at things and the rest of us are still learning? Well, it is not okay to put your neighbor down either. Find a way to be encouraging, not insulting. If someone is singing too loud or not very well instead of saying “You sound like my hound dog!” you could say “Maybe you could sing a little softer. Keep trying. I know you’ll get it!” Respect others with your words. Other ways to respect others is to respect their personal space, their time to talk and their ideas. Mrs. King is ALSO an “other” person. Don’t touch her things without permission, in fact, the only things you should touch in music class are the carpet and your chair. Everything else needs permission. If you look around the music room you will see some pretty amazing things! Beautiful instruments, puppets, drums, books, craft supplies, games and…oh my goodness…it is a very exciting place to be! Unless you have permission you shouldn’t touch anything. Mrs. King’s property and the school’s property are just as important as yours. Respect the property of your classmates. Don’t move their supplies, touch their jackets or take their things. Treat your neighbor like you would like to be treated. At the beginning of every school year (and sometimes mid-year) I go over these rules with my students. With some classes this conversation lasts just a few minutes. With other classes we might spend 10 minutes or more talking about them. Is it worth it? Absolutely! Classroom management starts with a plan. After a couple of years I moved to a new district and this kind of fell to the wayside as a punishment, but I used it each year as an introduction to my expectations. One year I had a group of boys beatbox and rap it for me! LOL. What fun! I hope that you’ll join me for the next few blog posts on the topic of classroom management. In my next post we will dive into consistency, routine and organization-the backbones of great classroom management. The music is ready. The lines are memorized. The stage is decorated. It is concert time! The next thing to consider is how to keep the audience entertained and under control during the entire evening. Let's face it. Your students know what your expectations are for the evening. They have practiced walking in lines, being quiet and using good audience behavior in your classroom all year. The audience? In all likelihood, they have been to more ballgames than concerts and may need a little prompting to be a good audience. This doesn't mean that they aren't there to be supportive or that they don't like the arts. It may just be that they don't know what is expected of a great audience. 2. I always have students welcome the audience and introduce songs. On occasion, I've had them rap or recite a poem about audience etiquette. I love THIS one by Tami Mangusso. 3. 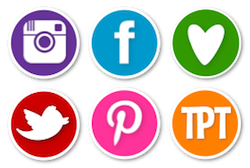 Use slideshows and videos before the concert to help students and audience members know what's going on. I also use this as an opportunity to remind concert goers about good audience behavior. Here is a sample from about 7 years ago. I set the show to loop and have thematic music playing in the background. This concert was easy as there are many great country Christmas songs out there. 4. It's not usually before a concert that I have problems with noise. It is during the time that students are getting on and off the risers. With large groups this takes a few minutes no matter how much we practice. During this time the audience starts chatting and moving around. This is fine (I would rather they do that when we are not performing!) but it can be hard to get them back to a reasonable level before the next group starts. My solution? Entertain them! I play slideshows with pictures of class activities, trivia (related to the theme of the concert) or other thematic content. As soon as the first group of students takes their bow, the slideshow starts and we transition to a new group. 5. Decorate with a purpose. You may have noticed that I kind of LOVE bulletin boards! LOL. Well, I've got one for audience behavior too. Check out Thankful for Good Audience Behavior. I hope these tips help you have a great performance! Best wishes!